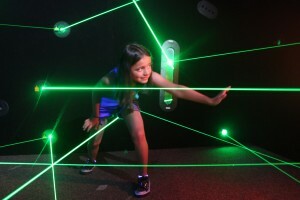 Your mission, should you choose to accept it: Be the first to beat Northern Colorado’s first ever Laser Maze Challenge! The challenge starts as soon as you enter the room. The lights go down, and laser beams pop up everywhere. You can’t go back, so you have no choice but to go for it! Can you make it through the maze without hitting a single laser? Every laser you hit adds points to your score, and the longer you take to traverse the maze, the more points get added to your final tally. See how low you can get your score, and challenge friends and family to see who would make the best jewel thief or super spy! This is one of the most unique attractions in Fort Collins and the Denver metro area, so you’ve got to come experience it for yourself. How much does it cost? Admission is $3.00/person for 2 runs, or $5.00/person for 4 runs. You can also take advantage of our FUN & GAMES SPECIAL. How long does it take? That depends on you, but for most people it only takes a couple of minutes. What ages is this attraction geared towards? 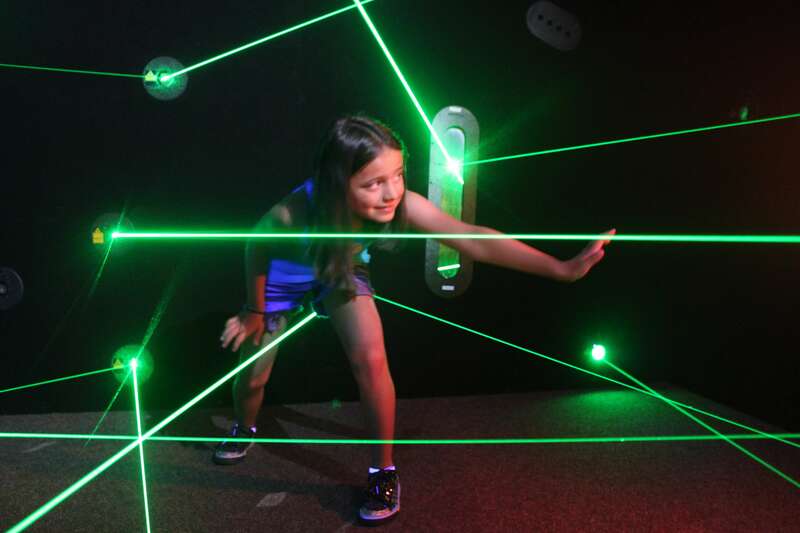 Anyone 5 years old and older can enter the Laser Maze Challenge, however it really depends on the child. Some 5-year-olds absolutely love it, while other kids may enjoy it more once they get a little older, say 6 or 7. Between the Laser Maze Challenge, roller skating, arcade games, and our indoor playground, Rollerland is the best place to host birthday parties or group events in Fort Collins! Just give us a call at 970-482-0497 to discuss your event, or check out our different party options online now.